That little ball of spiky stuff is the remains of the caterpillar skin. I will watch this and see if the adult ever emerges. With luck, I may catch some action in a little while. 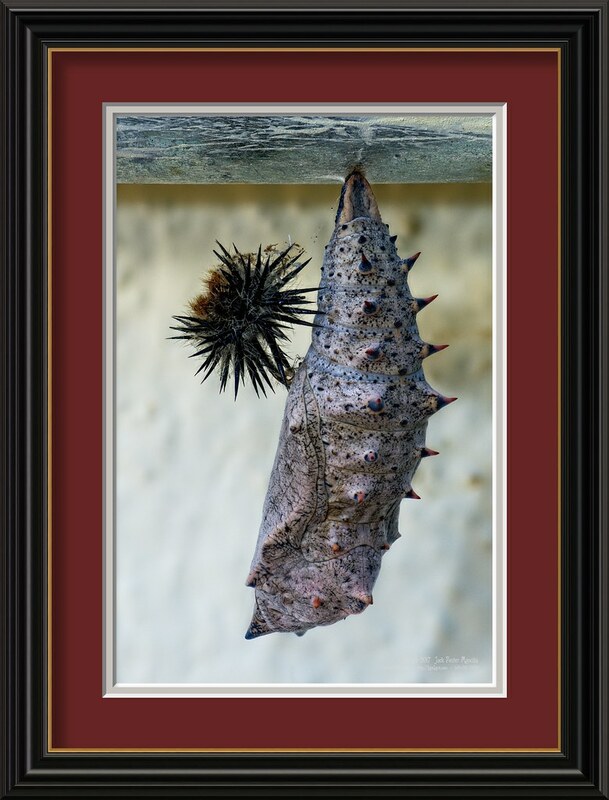 This entry was posted in calif, caterpillar, chrysalis, diego, Fauna, Foster, Jack, Mancilla, san and tagged Foster, Jack, LensLord, Mancilla. Bookmark the permalink.